Lazarus. Now there’s a name with meaning. The man raised from the dead by Jesus (John 11:1-45). So well known is that name – with that story – that we we can instantly recognize the meaning of its use to describe something. In medicine, for example, the Lazarus Phenomenon describes the spontaneous return to life after resuscitation efforts have failed. It’s also a 2005 documentary that looks into life after death and theories of what happens when we die. The Lazarus Effect also refers to how AIDS patients in Africa, near death, have literally come back to life after receiving antiretroviral drugs that cost less than forty cents per day. There’s a great documentary about it from HBO called, surprise, the Lazarus Effect. In science, the Lazarus Effect describes atoms that seem dead but appear to come back to life at a lower temperature. I’d explain that some more, but I don’t really understand any of it. You can Google it. It’s also specialty computer software that allows you to recover lost data. Bring it back from the great cyber-beyond, as it were. In John’s Gospel, Lazarus is a friend of Jesus who becomes ill. When his sisters send someone to Jesus to tell him and ask him to come, he says he will, but then seems to take his time. Four days, in fact. By then, Lazarus has died and been buried in a tomb. Jesus insists he is not dead and calls him to come out of the tomb. He does, and the story demonstrates Jesus’ power to bring life. Ironically, in John’s narrative, it’s also the point at which Jesus’ own life turns to death. News of this event is the last straw for the chief priests and Pharisees who are determined to find a way to kill Jesus. Jesus brings life. Yes, but I have a few questions I wonder about. 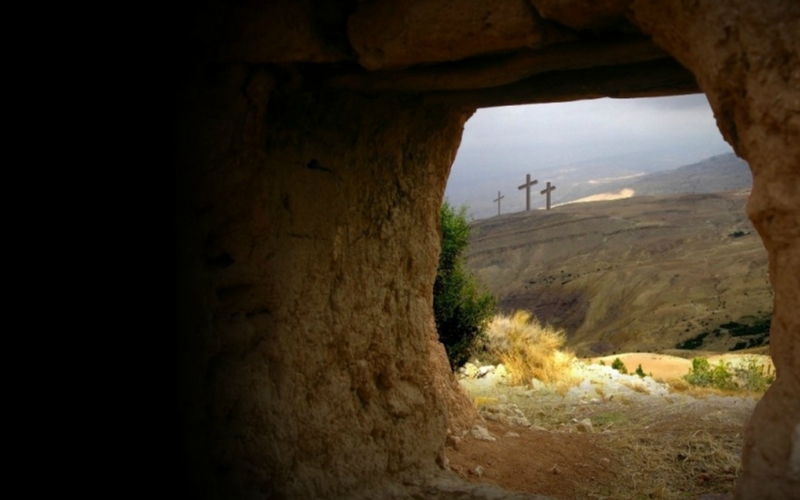 First, does Jesus give Lazarus new life or renew his existing life? I’m not trying to split hairs, here, it’s important to my second question. Lazarus had a life. Now he’s dead. Now he’s not. Is Lazarus changed in any way? What does he take forward from his old pre-dead life? And I don’t mean physically, this isn’t an “is he a zombie” question. That would be silly. Mostly. Surely the experience of being alive, dead and alive again, thanks to Jesus, would have some kind of spiritual and emotional effect on Lazarus. I wonder how he was, in his new life, given to him by Jesus. Second, what happened next? What happens to Lazarus after this? He’s mentioned one more time in passing (John 12), and it seems that the chief priests considered killing him as well as Jesus because so many people came to see him as an example of Jesus’ power. But did they do it? Or did Lazarus have many more years after all this and, if so, what did he do with them? John doesn’t say. What do you think? We speak often – in church and out of it – of new life in Christ, of being born again, of experiencing the love of Jesus and the grace of God in ways which change our lives. We speak of life changing or life defining moments, even when we don’t seem to be able to sense God at work in them. For me, Lazarus raises the question of what becomes of the life we had and how it’s part of the renewed one, how it informs or feeds or even challenges it. And I think that’s worth wondering about because, sometimes, I wonder if Lazarus was a real person. He only appears in John’s gospel (different Lazarus in Luke), one likely written much later than the others and one which appears to be designed to speak to a community experiencing persecution, uncertainty, doubt and fear. He steps into the narrative for one dramatic moment and then is gone. What if Lazarus is a metaphor, not just for us individuals, but for our community or our church? It’s frequently reported in various media that the church is dead or, at the very least, that it’s near the end of a terminal malaise after centuries of decline. Is it? Or is it in the midst of a Lazarus moment, a moment for believing that the question is not will we live, but how shall we live?